Nothing beats timber in terms of classic charm and elegance. This is the material that was the norm for all new windows until uPVC and aluminium entered the market, and wooden windows are still prevalent in older properties across the UK. The downsides to real wooden or timber windows are that they can be expensive to replace and require more maintenance than their aluminium and uPVC counterparts. With this in mind, timber isn’t always the best option, especially if you’re on a budget or don’t have the time to invest in keeping your new wooden windows looking great. 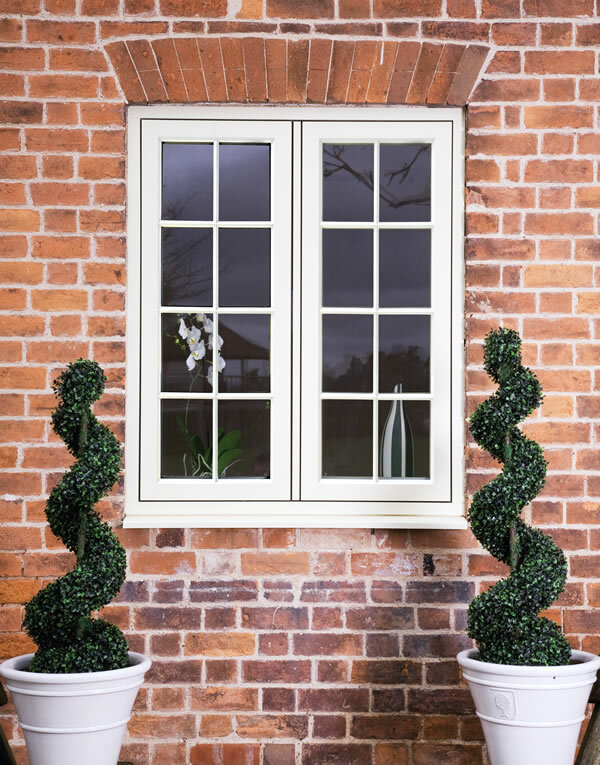 Residence 9 is a premium quality uPVC window and door system that’s designed to replicate a 19th century flush sash timber window. With Residence 9 you get the look, feel and charisma of real timber without any of the problems typically associated with this material. 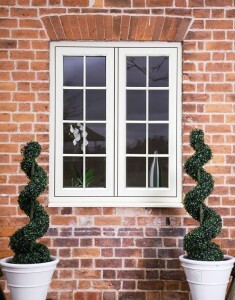 How does Residence 9 replicate the authentic wooden window look? 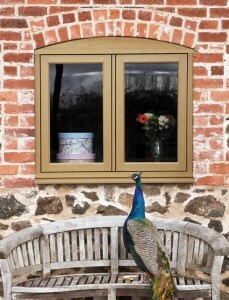 There are lots of details included in Residence 9’s design that make this timber effect window look so authentic. The frame is mechanically jointed – the same as a traditional wooden window – and can be customised to incorporate classic hardware such as monkeytail handles to further complete the look. Extras such as Georgian bars can be added too. To top it off, Residence 9 windows and doors are available in a range of traditional colours to mimic the finish of painted wood. Residence 9 looks just as good installed in a town house as it does in a more traditional property. Old or new your home can benefit from the aesthetic and high performance benefits of this system. It’s ideal for cottages and period properties where preserving the original appearance of the building is a must. In fact, this window is so authentic looking it’s even been accepted to be used in some homes within conservation areas. How much does Residence 9 cost? Timber effect windows are never going to cost as much as the real deal, but due to the luxury nature of Residence 9 it’s not as cheap as standard uPVC. Every R9 window is hand-crafted in Britain to meet your custom requirements and the prices will vary depending on the hardware and features you choose. How energy efficient is the window? uPVC is naturally a good insulator. And with most uPVC windows featuring five or six chambers, installing them in your home is going to help keep it insulated against the cold. 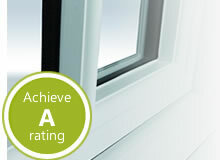 Residence 9 features nine chambers as standard much more than your average uPVC windows, improving thermal efficiency even further and reducing the likelihood of problems such as condensation. We can even install Residence 9 windows that use triple glazing if you live in an area that’s particularly cold or your home needs extra soundproofing against unwanted outside noise. Because Residence 9 windows and doors are made of modern uPVC material, R9 timber look windows can be wiped clean with a wet, soapy cloth to maintain a fresh appearance. 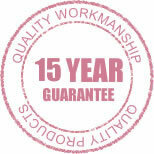 And they don’t need painting, staining or sanding, making them the perfect alternative to real wooden windows. This entry was posted in Products. Bookmark the article.